Male or Female over 18 years of age. Belief in the immortality of the soul. A sincerity desire for self improvement. No felonies and full disclosure of any legal issues. We are open to accepting and assisting any enquirers who wish to better themselves. The Order discourages extremes and promotes moderation in all things. Able to pay membership fees (determined by Country) without depriving your dependents/family financially. Prepared to be interviewed in person or online. 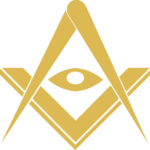 An obligation to become actively involved in lodge work. Please clearly state your reasons for wanting to join.